Set up your iPhone with Google Sync to access your G Suite mail, contacts and calendars using your iPhone’s native applications. Remember when asked to enter your email you must enter your FIT email address with the @fitnyc.edu. 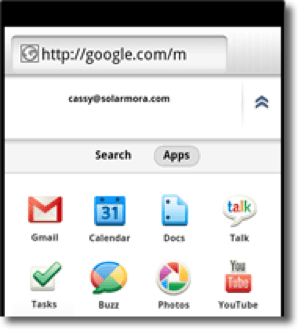 Alternately access Gmail using our Gmail app for iOS, which combines features from Gmail’s mobile browser and iOS. It’s available for free from Apple’s Apps store. Learn more. Remember when asked to enter your email you must enter your FIT email address with the @fitnyc.edu. Access other apps such as Docs and Tasks from your iPhone’s browser app. Just point the browser to m.google.com, touch the app you want to use, and sign in to your G Suite account. Remember when asked to enter your email you must enter your FIT email address with the @fitnyc.edu. What other G Suite can you use on your iPhone? Visit Google’s iPhone Help Center.